After the Tax Reform Act of 1986, there were 119 tax preferences. By 2013, there were 169. In real dollar terms, the growth of tax expenditures has been entirely on the individual side of the tax system since 1986. According to Treasury estimates, the tax expenditure budget grew from $844 billion (2013 dollars) in 1986 to $1.2 trillion in 2013, an increase of 44 percent. 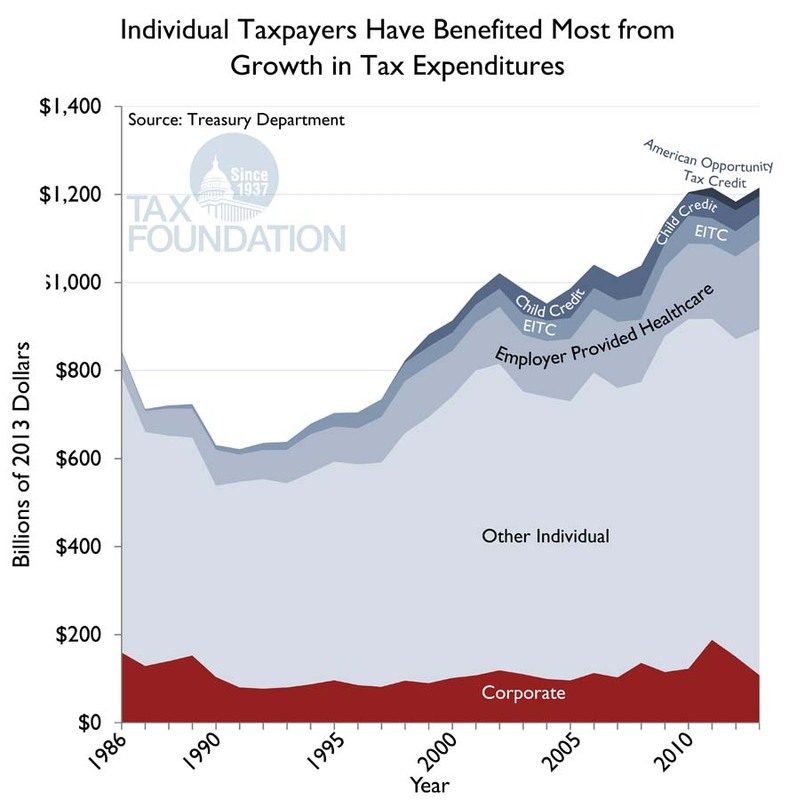 Over the same period, individual tax expenditures grew from $685 billion to $1.1 trillion. The biggest driver of this growth has been the cost of employer-provided health insurance. Meanwhile, corporate tax expenditures shrank from $159 billion in 1986 to $108 billion in 2013. Corporate tax expenditures are now less than 9 percent of the tax expenditure budget, which is lower than at any time since 1986.